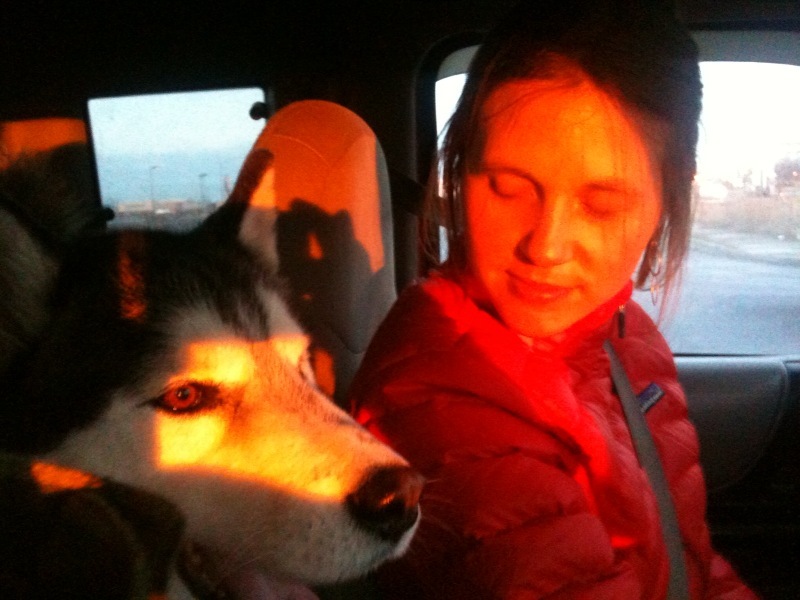 I don’t have a foodie photo so here is a pic of the Griz and I on our way home from Montana last week. The sunset in eastern Washington was amazing and this photo has not been edited at all. The color saturation was unreal! I spent a lot of time in the kitchen while in Montana last week. I really enjoyed planning and preparing meals for my good friend recovering from surgery. Though all of our food was delish, the hands-down winner was butternut squash risotto. Here’s the recipe (amounts are estimated) in case anyone feels like expanding their palate! Roast the squash in some olive oil, salt and pepper in 375 oven until beginning to brown. Set aside. Also roast mushrooms until tender. Chop and set aside. Warm broth in small pot. For risotto, heat olive oil in large, heavy-bottomed pot. Add onions and cook until translucent. Add rice, stir and cook for a few minutes. White spots will start to form on the grains. Stir in white wine and cook until evaporated. Start to add broth 1/2C at a time, stirring fairly continuously and not adding more until the prior cup is absorbed. Rice will begin to get creamy. Keep adding broth and stirring (this is important!) until risotto is done and then remove from heat. Stir in desired amount of cheese and stir until melted. Then add spinach and mix until wilted. Finish by stirring in the squash, mushrooms, salt and pepper. Top with a bit more cheese and minced flat parsley. This a delicious meal to share with a large group. I hope you enjoy! 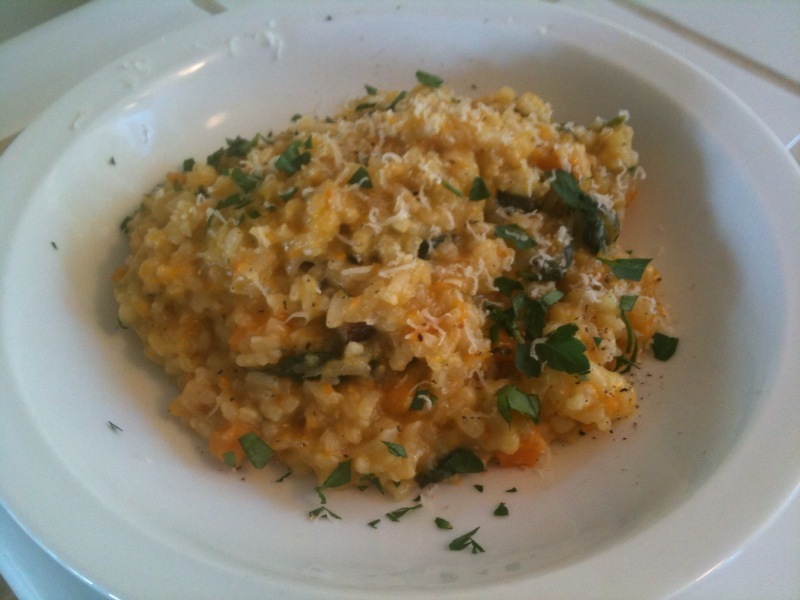 Update: It turns out that a photo of our risotto was indeed snapped… YUM!